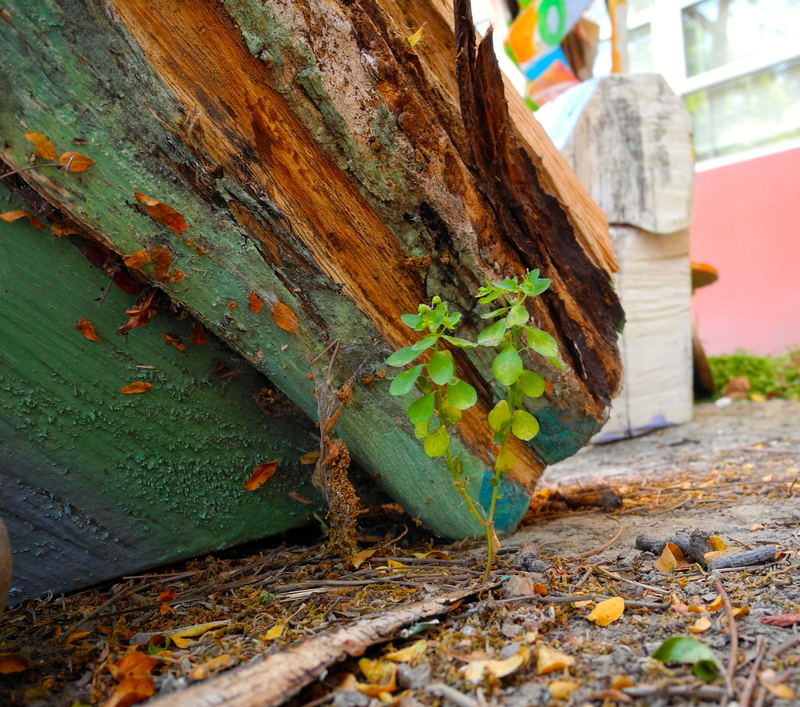 “Hey, let me grow here, next to this cool painted log, this cool piece of art!” shouted the weed in excitement. “I want to try out my place in this world, and I like THIS place!” The weed looked around and saw the art students and the animation students and the industrial design students, and he knew this was a good place to be. He chose a place that had history and kindness and wisdom. He chose a place that welcomed everyone no matter where they’d first set down their roots, and so he’d be welcomed too. The weed felt that by choosing this place, this art building, this university, that he was about to set out on an adventure that he was ready for. So, dear weed, hurrah! You have chosen well. You have strong roots and are growing straight. To place yourself near art means that you will see the world in a fuller spectrum of colors and hues, with shading and composition and perspective that others might not notice. Please, dear weed, have faith in your unique qualities and strengths. Use them to your ultimate power and grow to amazing heights! I have never been so proud of a weed as I am today.